A poster (typically card stock) is designed to be attached to a wall or vertical surface and is single sided. Typically posters include both textual and graphic elements, designed to be both eye-catching and informative. Posters may be used to promote an event, service or social campaign. The perfect paper for all your color printing applications and everyday colour documents. A bright uncoated paper with a crisp color and outstanding contrast. 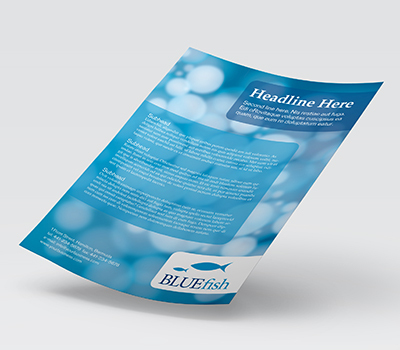 Typically used for Letterhead and Flyers. A professional high grade paper for printing applications and effective for two-sided printing. A bright uncoated paper with a crisp color and outstanding contrast. Typically used for Letterhead and Flyers. A sturdy opaque paper for effective two-sided printing with a super-smooth finish. A bright uncoated paper with a crisp color and outstanding contrast. Typically used for Flyers and Brochures. A bright uncoated paper effective for handling and mailing with a crisp color and outstanding contrast. Typically used for Flyers,Brochures and Postcards. A mid-weight card stock suitable for lower ink coverage. Typically used for Business Cards, Brochures, Postcards and Posters. The ultimate stock in high performance digital coated paper. An ideal paper for colour images. Used for Brochures and Postcards. A high quality paper stock. Ideal for high end graphic art creations. Used for Business Cards, Brochures, Posters and Postcards. A heavy-weight card stock that extremely is durable. Perfect for vibrant color printing. Used for Business Cards, Posters and Postcards. Colour tones – we suggest that if your document is colour critical, you request a proof for preapproval. Note that colour tones may vary from how view them on your monitor versus how they look when printed. Ensure that you proof read!